(1918-2014) was one of the foremost yogis to popularize yoga in the West. 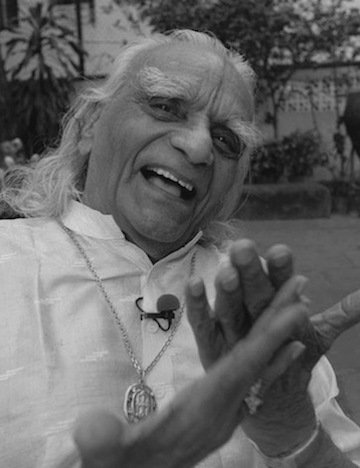 His family in Pune, India, and thousands of Iyengar certified teachers across the globe continue to share his precise methods of practice and teaching. His methods are authentic to yoga’s long tradition and come from the depth of his 80 years of daily practice. Learn more about B.K.S. and his legacy here. Iyengar Yoga is uniquely dedicated to accessibility through detailed instruction and adaptation. Teachers modify the classic asanas (yoga postures) when necessary with the use of props such as blocks, blankets and belts to allow for the greatest benefits through deeper and longer holds of the poses. Accessibility. Iyengar yoga has an entry point for nearly everyone regardless of age, gender or state of health. The postures are modified with props as necessary to allow students to work at their appropriate level. A certified Iyengar teacher can guide all students to an experience of yoga, which is safe, accessible and progressive. Longer holds of the postures. Longer holds allow the necessary time for a practitioner to take their awareness inward. With time and stillness, we are able to notice blocked, weak or rigid areas of the body. Longer holds allow for full circulation of vital energy (prana), blood and intelligence to the entire body. Use of Props. 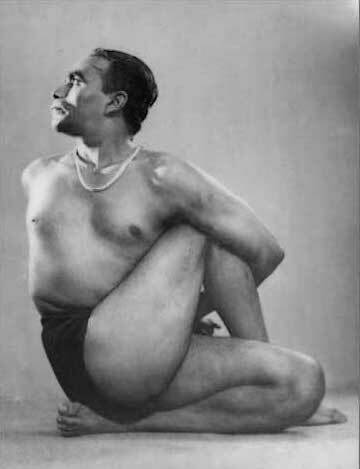 Iyengar developed the use of props such as blocks, straps, chairs, etc. to facilitate longer holds of postures and to adjust the body to accurate alignment. Proper alignment reduces extraneous effort and excess muscular tension, and prevents the development of hyper-flexibility which can be damaging to our joints. Home practice. The Iyengar classroom is a learning environment that encourages students to take the new knowledge into their home practice. Without a personal practice, the study of yoga is incomplete. Class is not a “workout” session. Iyengar students become self-sufficient, not teacher-dependent. Pranayama (yogic breathing) is an elevated art, and is learned in a safe and subtle manner as a practice unto itself. There are no aggressive huffing and puffing practices that can cause breathing “highs,” damage sensitive nerves, and create excessive heat and nervous disorders. No one is too stiff, too out of shape or too old to begin Iyengar yoga. Problem solving is the basis of our teaching methodology. Text or call Sara, (412) 401-2162, or Christina (412) 719-2332, to discuss your goals and condition. They will help you set a course of action to develop a personalized yoga practice at your appropriate pace. All that is required is a willingness to learn and to face your challenges steadily, one step at a time. To raise the physical health and mental fitness of the Greater Pittsburgh Area, and provide therapeutic yoga services to medical patients and those of compromised health. The Iyengar Yoga Institute of Pittsburgh is a 501(c)(3) non-profit charitable organization that relies on tax-deductible donations and gifts to fully support our programs and our mission.